Are you in search for a used white mobile pedestal? We’ve got you covered! New inventory of V&S white mobile pedestals just in! Find deals on our pre-owned mobile pedestal inventory at our warehouse of used office mobile pedestals Orlando. Florida businesses save tons of money buying mobile pedestals at Office Liquidation Orlando. 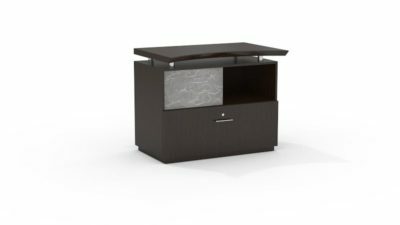 This is a mobile pedestal that features both a box drawer and a file drawer. 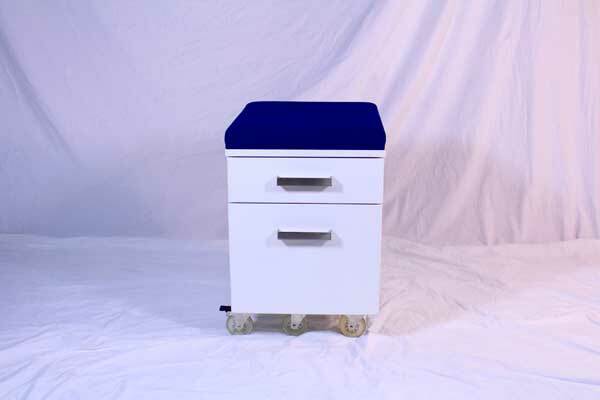 For easy maneuverability it features casters so you can roll it to where you need it to be. It also has a blue upholstered padding on the top that can be used as an extra seat when needed. Buy new to you White V&S mobile pedestal from Office Liquidation Orlando Florida.